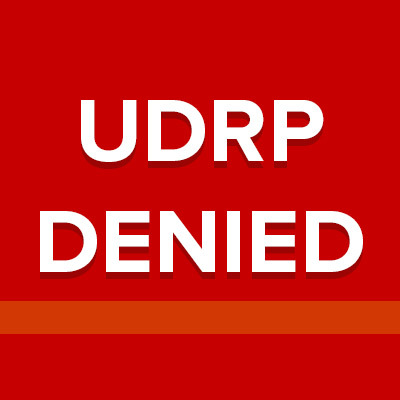 Domain investor, Stanley Pace, won another UDRP – this time against the domain Reindl.com. The domain was offered for sale with a $79,000 dollar price tag. Registered in 2016, the domain’s keyword, “reindl,” means casserole in German. An Austrian company that creates protective clothing, asserted that they have a trademark since 1999. Reindl Gesellschaft m.b.H. of St. Willibald, Austria, operate from the dot .AT and in the UDRP case filed at the WIPO they claimed rights to this generic dictionary word. They offered $2,000 dollars to the Respondent. End result: Respondent gets to keep the domain.  Full details on this UDRP decision for Reindl.com follow. The Complainant is Reindl Gesellschaft m.b.H. of St. Willibald, Austria, represented by The Dr. Johannes Öhlböck LL.M, Austria. The Respondent is Stanley Pace of Washougal, Washington, United States of America (“US”), represented by Law Office of Howard M. Neu, PA, US. The disputed domain name <reindl.com> (the “Disputed Domain Name”) is registered with DropCatch.com 885 LLC (the “Registrar”). The Complaint was filed with the WIPO Arbitration and Mediation Center (the “Center”) on January 24, 2019. On January 24, 2019, the Center transmitted by email to the Registrar a request for registrar verification in connection with the Disputed Domain Name. On the same date, the Registrar transmitted by email to the Center its verification response confirming that the Respondent is listed as the registrant and providing the contact details. In accordance with the Rules, paragraphs 2 and 4, the Center formally notified the Respondent of the Complaint, and the proceedings commenced on February 1, 2019. In accordance with the Rules, paragraph 5, the due date for Response was February 21, 2019. The Response was filed with the Center on February 20, 2019. The Center appointed Nick J. Gardner as the sole panelist in this matter on March 1, 2019. The Panel finds that it was properly constituted. The Panel has submitted the Statement of Acceptance and Declaration of Impartiality and Independence, as required by the Center to ensure compliance with the Rules, paragraph 7. The Complainant is an Austrian company, which manufactures protective clothing and workwear and associated products. Its website is linked to the domain name <reindl.at>. The Complainant owns Austrian trademark No, 181737, for the word “reindl” registered on April 21, 1999 (the “REINDL trademark”.). The Respondent is a dealer in domain names. The Disputed Domain Name was registered on June 15, 2016. It is linked to a website (the “Respondent’s Website”) which contains pay-per-click (“PPC”) links. None of these links have any relevance to the Complainant or its business. The Complainant says the Disputed Domain Name is identical to the REINDL trademark. The Complainant says that the Respondent has no rights or legitimate interests in respect of the Disputed Domain Name. The Complainant says that the Disputed Domain Name has been registered and used in bad faith. The Complainant says the Disputed Domain Name was acquired primarily for the purpose of selling the Disputed Domain Name registration to the owner of the trademark and to the owner of the website “www.reindl.at” for valuable consideration in excess of the Respondent’s out-of-pocket costs directly related to the Disputed Domain Name. Moreover, it says the Disputed Domain Name was registered in order to prevent the owner of the trademark and the website “www.reindl.at” from reflecting the mark in a corresponding domain name. The Complainant says it is selling its products all over the world and it therefore needs an international media presentation otherwise it cannot keep up with its competitors. The Complainant relies on the fact that it offered the Respondent USD 2,000 for the Disputed Domain Name. The Respondent demanded USD 79,000. It says the Respondent was offering to sell the Disputed Domain Name at an unreasonable price and was taking advantage of the Complainant’s plight. The Respondent says that “reindl” is a dictionary word in German meaning casserole. He also says it is a surname and produces various examples of persons with that surname. He says that as a dealer in domain names it registered the Disputed Domain Name because of its intrinsic likely value given these meanings. He says that he had never heard of the Complainant and points out there is no evidence of the Complainant having any rights outside of Austria nor any reputation in the US. The Respondent says the parking site to which the Disputed Domain Name is linked has never contained any links of any relevance to the Complainant or its business. The Respondent therefore denies having registered or used the Disputed Domain Name in bad faith. He says the price he sought for it is in line with the price he has received for other similar generic domain names. The Complainant has rights in the REINDL trademark. The Panel finds the Disputed Domain Name is identical to this trademark. It is well established that the generic Top-Level Domain (“gTLD”), in this case “.com”, does not affect the Disputed Domain Name for the purpose of determining whether it is identical or confusingly similar. See, for example, Rollerblade, Inc. v. Chris McCrady, WIPO Case No. D2000-0429. Accordingly the Panel finds that the Disputed Domain Name is identical to the Complainant’s trademark and hence the first condition of paragraph 4(a) of the Policy has been fulfilled. In view of the Panel’s finding in relation to bad faith (see below) it does not need to resolve this issue. The Panel finds that there is no evidence to suggest that the Disputed Domain Name has been registered and used in bad faith. The Respondent says he had never heard of the Complainant when he registered the Disputed Domain Name. Given the evidence before the Panel that account seems to the Panel to be entirely credible, and the Panel sees no reason to doubt the Respondent’s statement. In reaching this conclusion the Panel has considered the Complainant’s case that the Respondent must have had the Complainant in mind when he registered the Disputed Domain Name. The Panel finds that case to be unconvincing. The difficulty with the case is that there is no evidence to establish the Complainant is widely known. The Complaint contains a sentence stating that the Complainant’s products are sold all round the world but no evidence is provided to support this assertion, nor is any information provided as to quantities, value, advertising or publicity or any similar information about such sales. Accordingly, the Panel does not accept that there is any evidence which would lead to a finding that the Respondent knew of the Complainant when he registered the Disputed Domain Name. The Panel’s assessment takes into account that professional dealers in domain names may be held to a higher standard to avoid the registration of trademark-abusive domain names as stated at section 3.2.3 of the WIPO Overview of WIPO Panel Views on Selected UDRP Questions, Third Edition (“WIPO Overview 3.0”). The Panel sees no reason to doubt the Respondent’s case that the fact that “reindl” is a dictionary word in German, and a surname used by persons in the US and elsewhere, meant it had an intrinsic value, which was why the Respondent registered it. Accordingly, the Panel can see no basis on the evidence before it for concluding that the Respondent targeted or would have been reasonable aware of the Complainant’s trademark, also noting the other meanings of the word “Reindl”, so as to support a finding of bad faith. “Mr. Pace was living in Texas at this time. In these circumstances, Mr. Pace’s sworn statement that he was unaware in June 2008 of the Complainant’s business or mark is entirely credible. Mr. Pace says on affidavit that although he checked on the Google search engine and searched the USPTO website before bidding for the disputed domain name, he found no evidence of potentially conflicting trademarks. In reality and based on the material before the Panel, Mr. Pace could have searched on any number of search sites or trade mark or business name registers in June 2008 but it is only if he had searched the business name register in the Netherlands that he might have even been alerted to the existence of the Complainant. Accordingly, the Panel finds that there is no evidence before it to suggest that Mr. Pace registered the disputed domain name in bad faith. Although this technically ends the matter, as this element of the Policy requires a finding of both registration and use in bad faith, the Panel also finds that the Respondent has not used the disputed domain name in bad faith. It is well accepted by previous panels that using a domain name to resolve to a “pay per click” parking page is not per se use in bad faith. It is only when it is apparent that such use is actually targeting the complainant that it may amount to use in bad faith. Here the hyperlinks do not refer to the Complainant or its business, other trampoline companies, or products competitive of those of the Complainant. Most in fact refer to party rentals, or paraphernalia, or amount to plays on the word “bounce”. In this case the Panel finds that there is no evidence that the Respondent, who is involved on a large scale in the domain name broking and holding business, has ever actively targeted the Complainant”. The Panel considers exactly the same reasoning applies to the present case. The evidence establishes that the Respondent did seek a very substantial sum for the Disputed Domain Name when the Complainant sought to buy it. The Respondent has not provided any evidence to support his claim that he has received similar sums for other comparable domain names. However, the Panel does not consider this matters.  If the Respondent’s interest in the Disputed Domain name is legitimate he is entitled to seek whatever price he wishes. Although in some circumstances asking a very large price may give rise to an inference of bad faith registration and use, the Panel does not consider that to be the case here, given the lack of any evidence casting any doubt on the Respondent’s account of why he registered the Disputed Domain Name. It may well be the case, as the Complainant suggests, that it would like to own the Disputed Domain Name and finds itself at a commercial disadvantage if it cannot, but these are not reasons supporting a finding of bad faith. Reverse Domain Name Hijacking (“RDNH”) is defined under the Rules as “using the Policy in bad faith to attempt to deprive a registered domain-name holder of a domain name”. As set out in the WIPO Overview 3.0, section 4.16, reasons articulated by UDRP panels for finding RDNH include: (i) facts which demonstrate that the complainant knew it could not succeed as to any of the required three elements – such as the complainant’s lack of relevant trademark rights, clear knowledge of respondent rights or legitimate interests, or clear knowledge of a lack of respondent bad faith (such as registration of the disputed domain name well before the complainant acquired trademark rights; (ii) facts which demonstrate that the complainant clearly ought to have known it could not succeed under any fair interpretation of facts reasonably available prior to the filing of the complaint, including relevant facts on the website at the disputed domain name or readily available public sources such as the WhoIs database; (iii) unreasonably ignoring established Policy precedent notably as captured in this WIPO Overview – except in limited circumstances which prima facie justify advancing an alternative legal argument; (iv) the provision of false evidence, or otherwise attempting to mislead the panel; (v) the provision of intentionally incomplete material evidence – often clarified by the respondent; (vi) the complainant’s failure to disclose that a case is a UDRP refiling; (vii) filing the complaint after an unsuccessful attempt to acquire the disputed domain name from the respondent without a plausible legal basis; (viii) basing a complaint on only the barest of allegations without any supporting evidence”. On balance the Panel does not consider the Complainant’s conduct warrants a finding of RDNH. It considers the Complainant failed to consider fully the consequences of the fact that there was no evidence of the Respondent having targeted the Complainant. There is also some evidence suggesting this is a situation whereby the Complainant has failed to buy the Disputed Domain Name at a price it was prepared to pay, and adopts an alternative strategy of an unmeritorious complaint. However, in circumstances where the Disputed Domain Name was identical to the Complainant’s name and trademark, and the Respondent had sought a very large sum for the Disputed Domain Name and it was not necessarily clear what the Respondent’s case would be, the Panel on balance is not persuaded the Complainant’s conduct falls within the above guidelines nor that it deserves the censure of a finding of RDNH. Thanks for publishing my latest win! Howard – Great decision, congratulations!